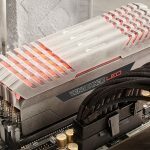 PAX WEST 2016 – September 2nd 2016 – CORSAIR®, a world leader in enthusiast memory, PC components and high-performance gaming hardware today announced a number of new RGB products and technologies, continuing the CORSAIR commitment to stunning user-customisable lighting started by the release of the CORSAIR K70 RGB in 2014.The new SP120 RGB and HD120 RGB LED fans combine CORSAIR’s legendary cooling with easily adjustable lighting, offering reliable and quiet airflow with vibrant RGB lighting in either 4-LED or 12-LED configurations. 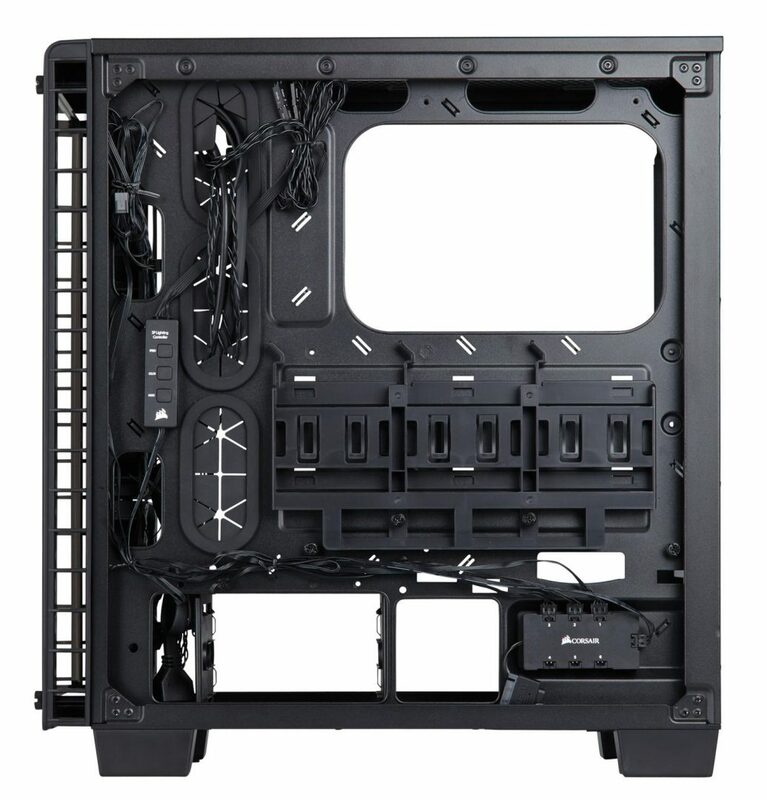 The never-before-seen Crystal Series 460X RGB tempered glass case combines jaw-dropping tempered glass panels with three SP120 RGB fans to show off a system like never before. 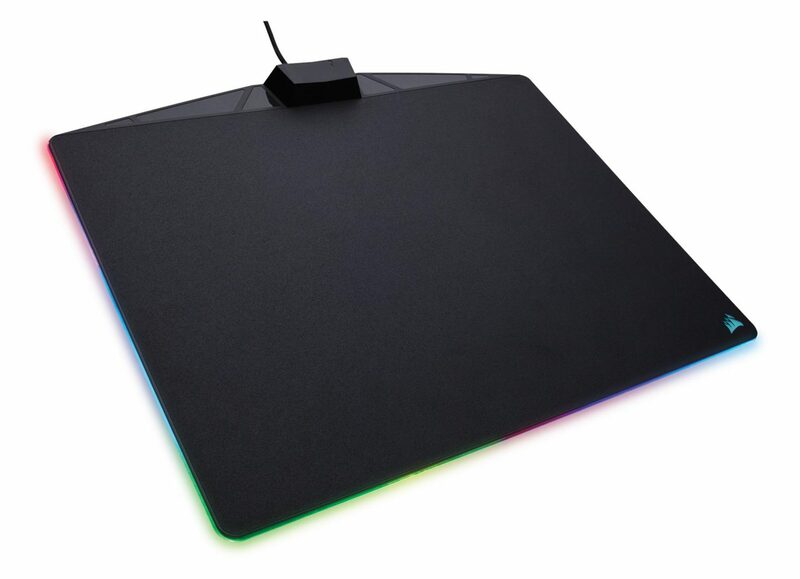 The MM800 RGB POLARIS mouse pad extends CORSAIR RGB lighting from the keyboard and mouse right onto the desktop, with class-leading 15-zone RGB lighting and USB pass-through. Finally, the launch of CORSAIR Utility Engine (CUE) 2 software brings a whole new way to control your CORSAIR RGB peripherals. Redesigned from the bottom up to offer more intuitive control over lighting effects and patterns, it’s never been easier to create your own custom profiles and light your peripherals just how you want them. CORSAIR RGB – Because gear this good doesn’t hide in the dark. 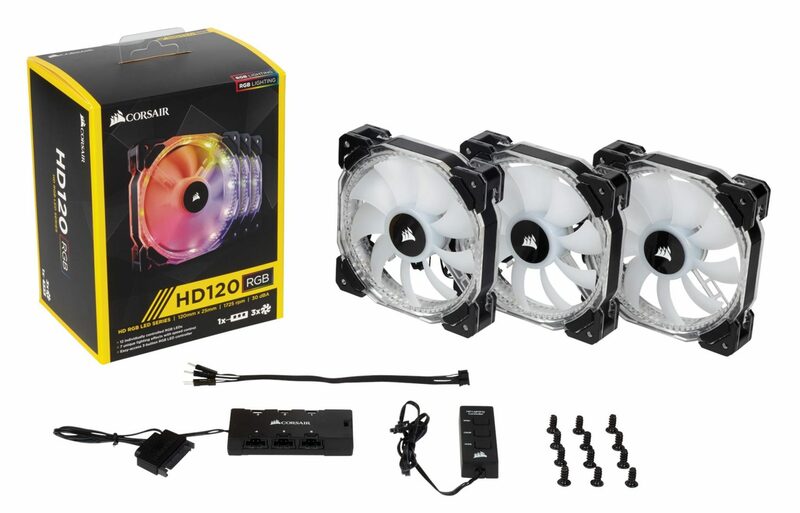 SP120 RGB and HD 120 RGB LED Fans – Stay Cool, Look Hot. 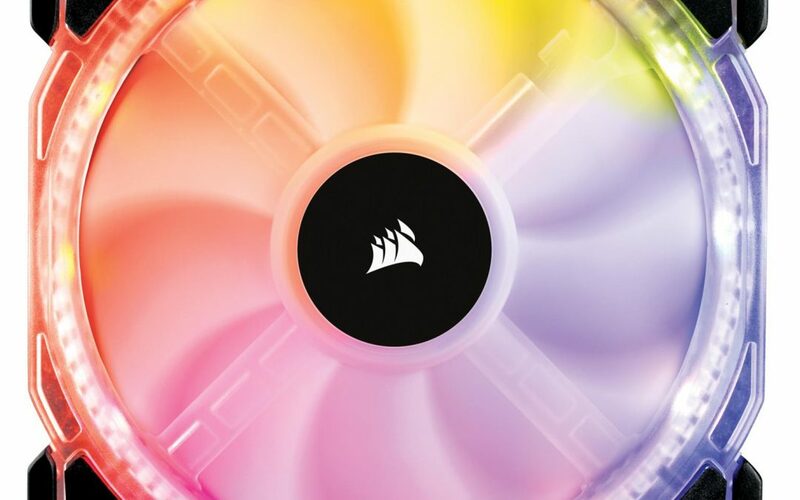 Combining excellent airflow, low-noise operation and stunning RGB lighting, the CORSAIR SP120 RGB and HD120 RGB range of fans allow your PC to run cool, but look hot. 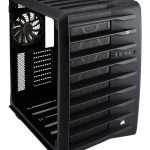 SP120 RGB fans utilize ultra-thin frosted fan blades and four hub-mounted RGB LEDs to offer stunning illumination, while HD120 RGB triples the lighting with 12 independent LEDs fitted into the fan’s frame. Whichever you choose, the result is bright, beautiful lighting in a wide range of colors and in a variety of unique lighting modes, all powered by a three-function controller that lets you choose the pattern, color or transition speed of lighting effects. 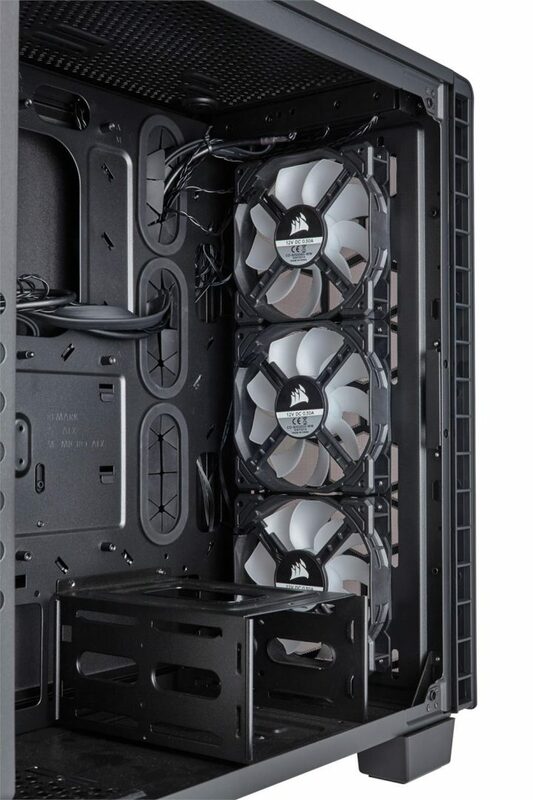 SP120 RGB LED fans run at 1,400RPM via a 3-pin fan connector, while HD120 RGB fans offer greater customization thanks to 4-pin PWM control, speeds of 800-1,725RPM and vibration dampening rubber corners. 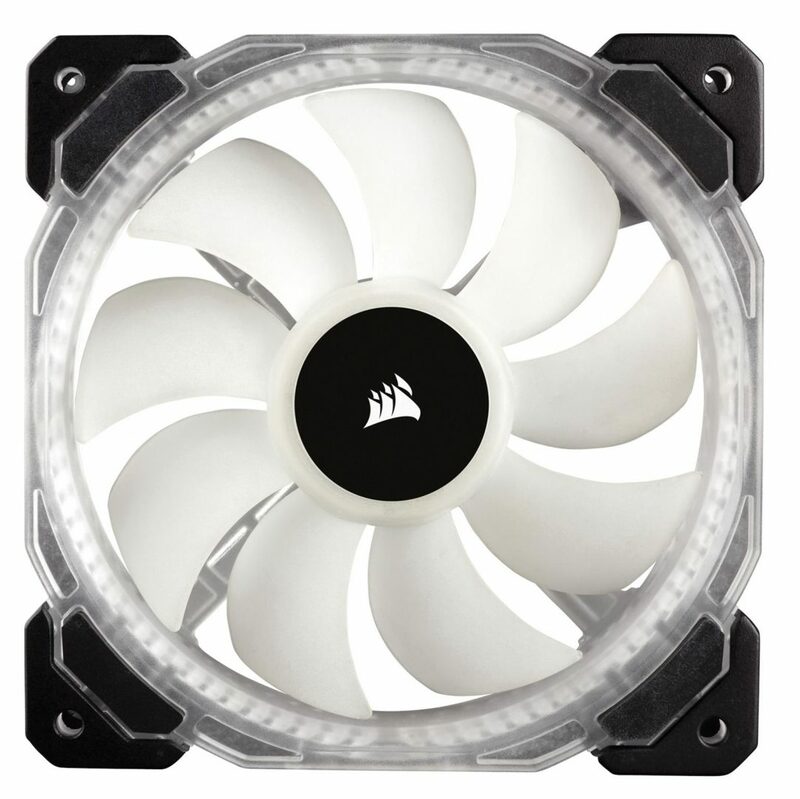 CORSAIR RGB fans – Performance Illuminated. 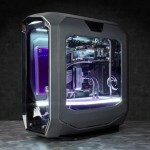 CORSAIR Crystal Series 460X RGB Case – Clearly Cool. 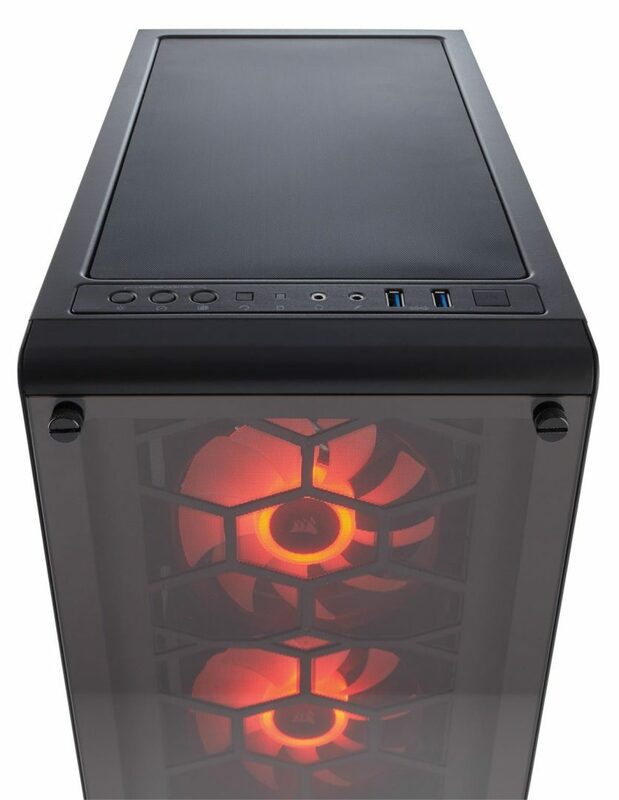 The Crystal 460X RGB packs all the case performance and expandability you need into a beautifully modern and compact design with vivid illumination thanks to a trio of SP120 RGB LED fans. 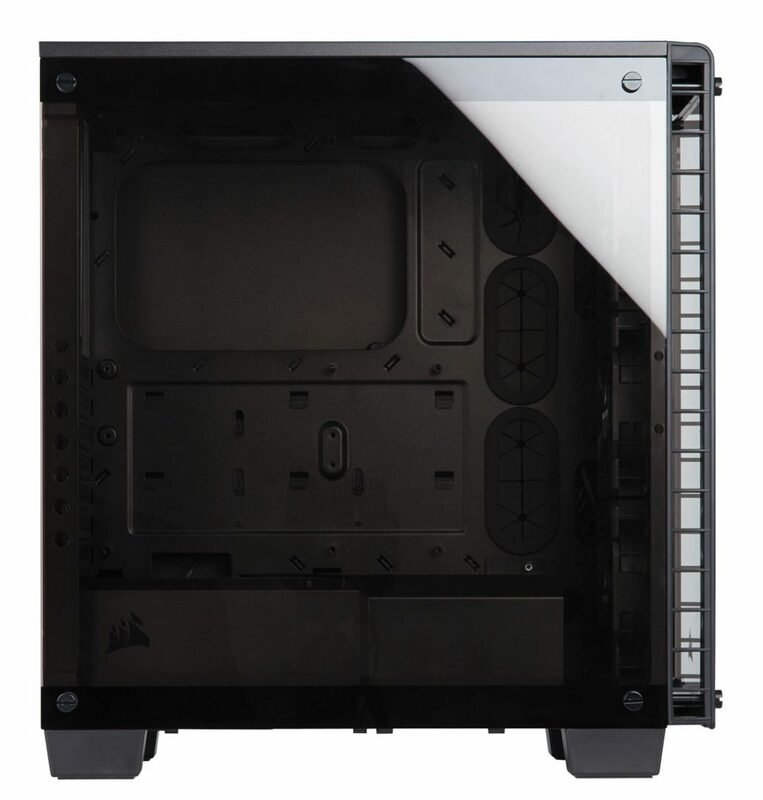 Put your build on display through beautiful two-panel tempered glass and keep it all running cool and quiet with Direct Airflow technology. 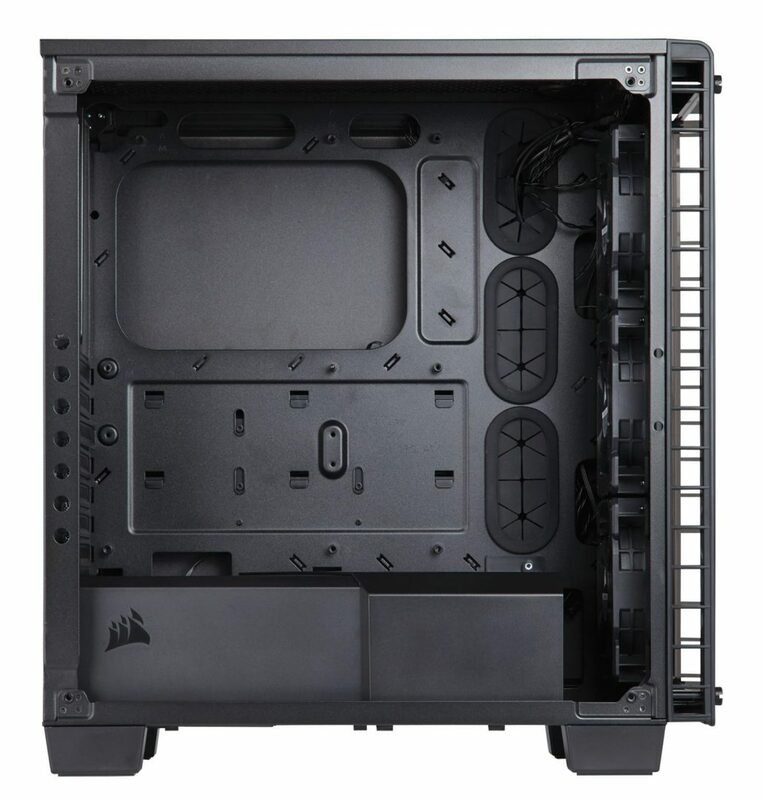 Changing lighting effects and colors is done at the touch of a button with fully integrated front panel controls and with tool-free drive installation and three-point dust filter access, the CORSAIR Crystal 460X RGB is easy to build — and even easier to keep clean. You’ll spend less time on setup and maintenance, and more time admiring your PC – and who could blame you when it looks this good? 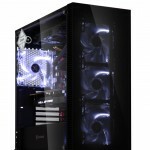 Love the look of the Crystal Series 460X RGB but want to build your own lighting experience? 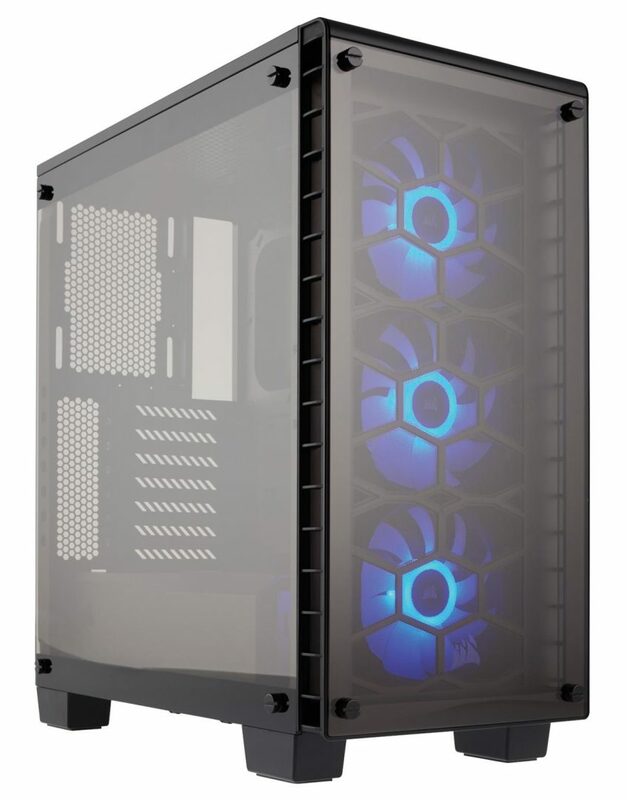 The Crystal 460X is also available with a single red LED fan and rear exhaust fan, allowing you to choose the cooling and lighting setup. 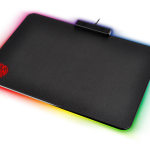 MM800 Polaris RGB Mouse Pad – Light Up The Playing Field. 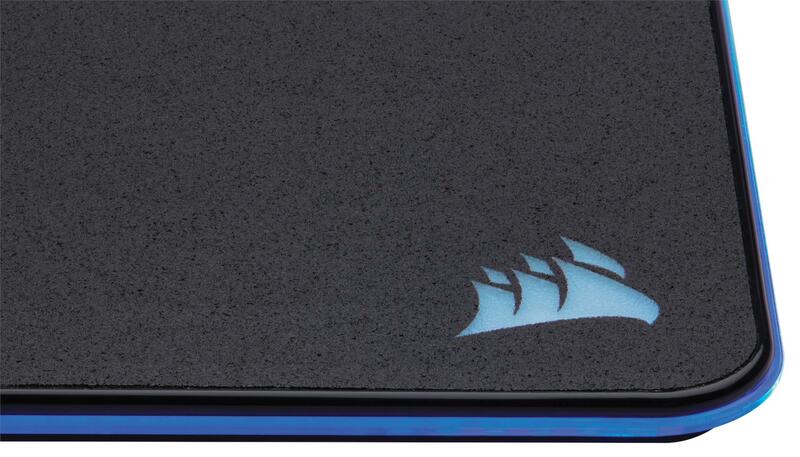 The CORSAIR MM800 RGB POLARIS adds a new level of LED immersion in addition to offering excellent mouse pad durability, tracking, and precision. Use the CORSAIR Utility Engine (CUE) to take control of 15 individual edge-mounted RGB zones for near-limitless lighting effects, powered by true PWM lighting to display the most accurate color reproduction. Synchronize each of the lighting zones with other Corsair RGB products to complete the ultimate gaming setup. 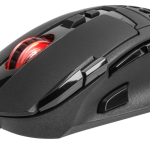 An integrated USB pass-through port for your mouse frees up a valuable USB port on your system, while the hard low-friction micro-texture surface combines with ample surface area (285mm x 272mm x 5mm) to give you plenty of room for your digital playing field. 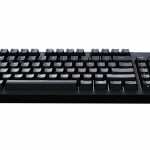 CUE 2 Gaming Software – Command The Spectrum. 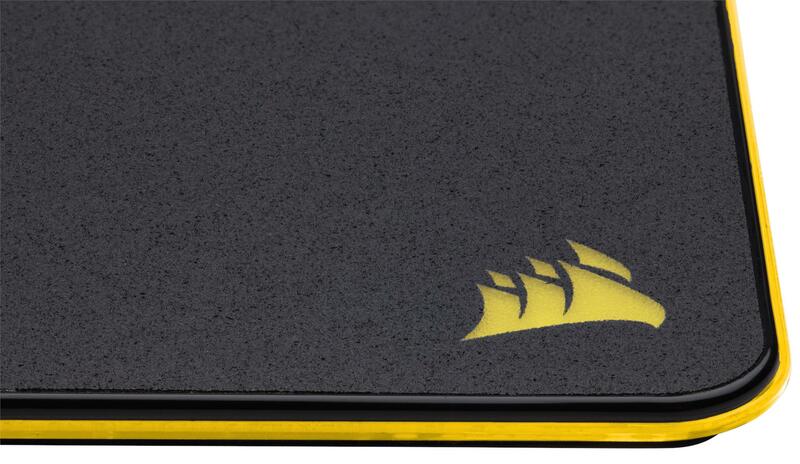 Take your CORSAIR RGB mouse, keyboard, headset or new MM800 RGB POLARIS mouse pad to the next level by harnessing the entire color spectrum with new CORSAIR Utility Engine (CUE) 2 gaming software. 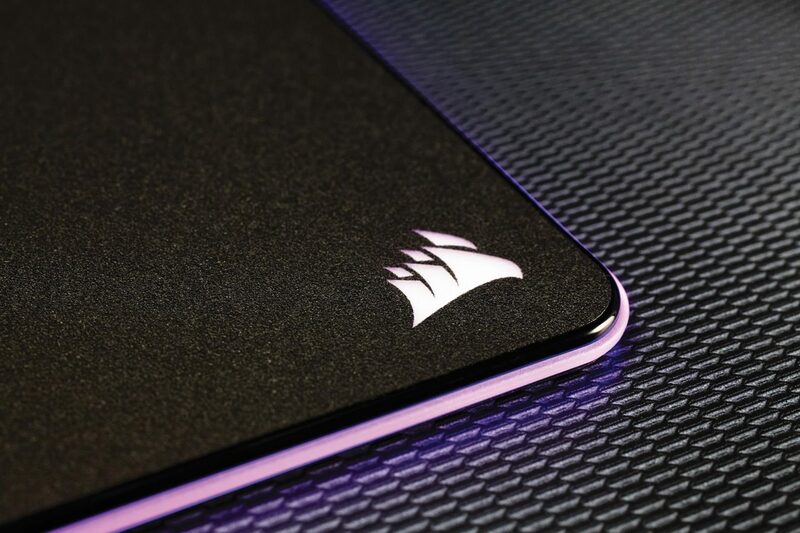 A ground-up redesign of the software optimized for high resolution and 4K displays, CUE 2 gives users unique personalization options for all their CORSAIR RGB peripherals. Create stunning lighting effects in seconds with easy to adjust lighting layers and dozens of popular presets, or design custom static, gradient, ripple, and wave patterns to light up your peripherals your way. CUE 2 makes it easier than ever to assign any programmable key with macro, text, timer, media, or profile switching controls, giving you the edge in games or applications. 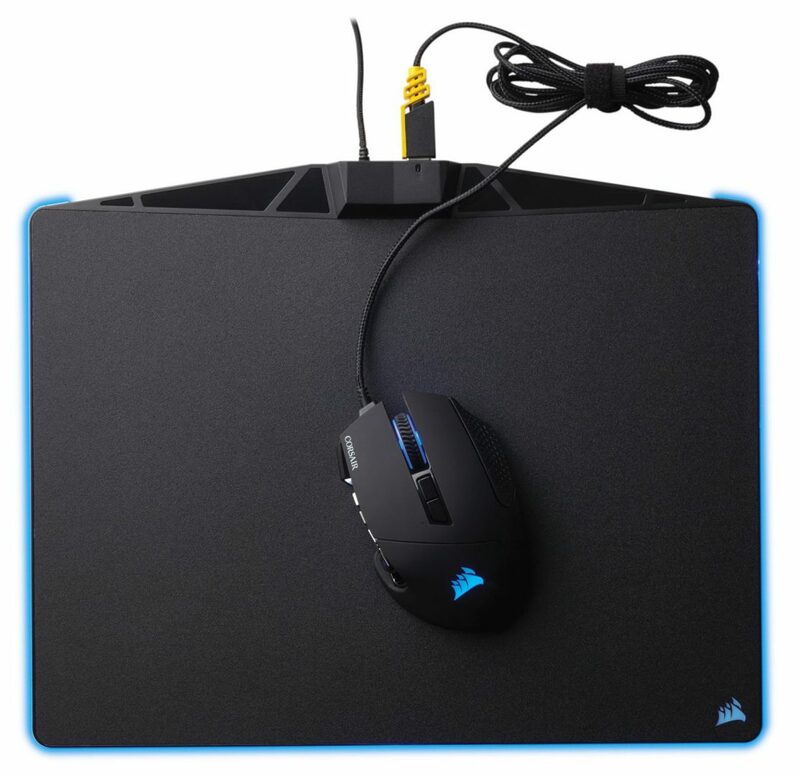 Able to fully control CORSAIR’s range of keyboards, mice, headsets and the new MM800 RGB POLARIS, CUE 2 ties all your peripherals together, synchronizing lighting, profiles and custom actions between everything in just a few clicks. 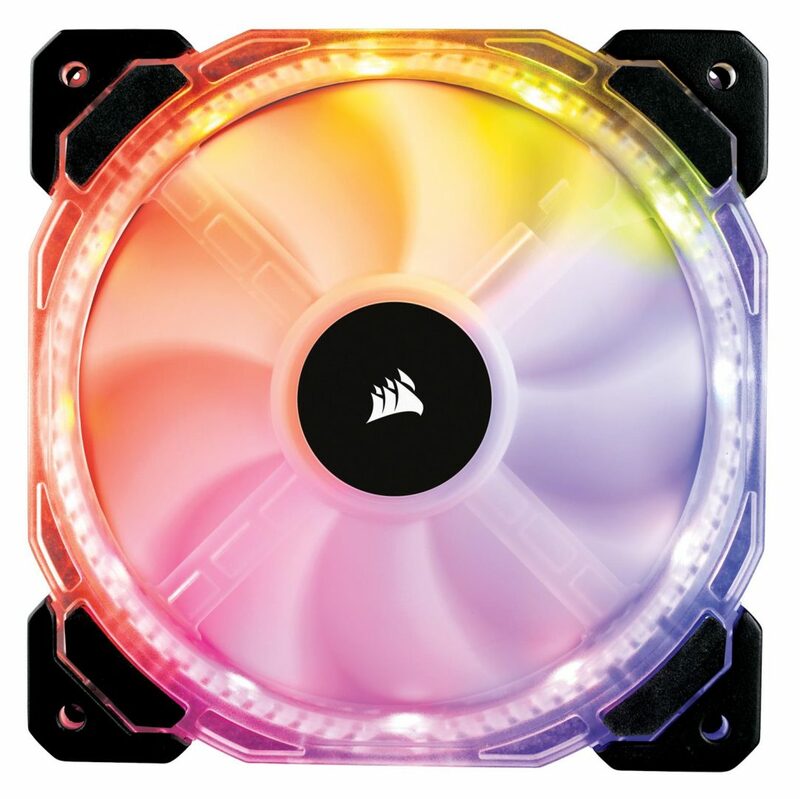 CORSAIR SP120 RGB and HD 120 RGB LED Fans are available immediately from the CORSAIR worldwide network of approved retailers and distributors. 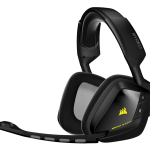 The MM800 RGB POLARIS is available immediately exclusively from Best Buy and the CORSAIR web store in North America, and available immediately from the CORSAIR worldwide network of approved retailers and distributors in other regions. 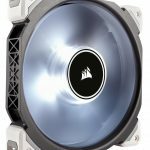 CORSAIR Crystal Series 460X RGB will be available fromthe CORSAIR worldwide network of approved retailers and distributors in late September and is available to pre-order from today.